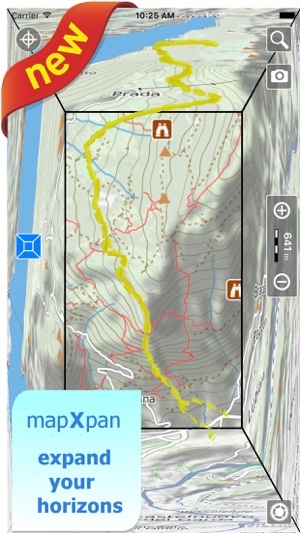 An app to satisfy all your Hiking and Biking’s needs, developed with the help of professional hikers and bikers. 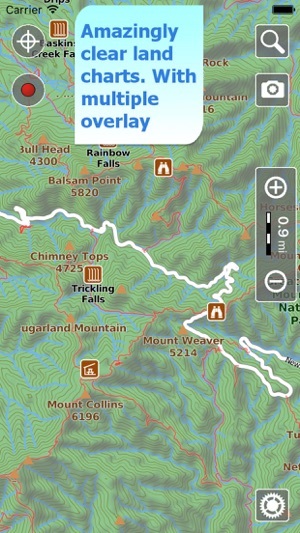 You will be able to download the best topo maps and enjoy your new outdoor season. Press the RECORD button, put the phone in your pocket and record your day. 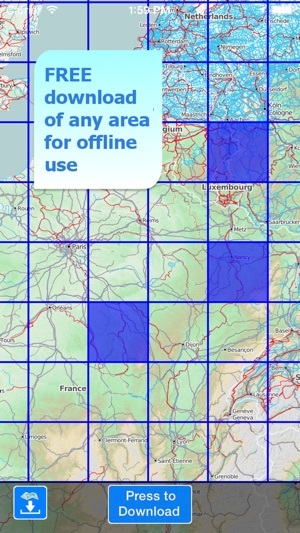 • You can download maps (for FREE) on the device, to be used later without any internet connection. • Topo Maps for US, Canada, Europe, South America, Asia, Africa, Oceania (the whole world !!!). 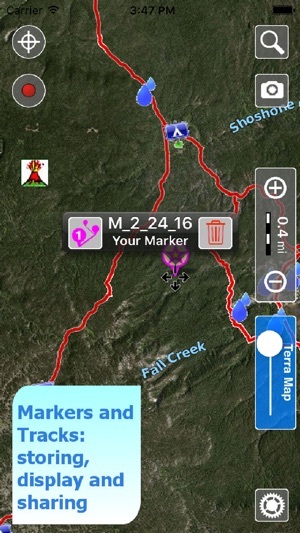 • Share tracks, tours, markers and photos in various formats (KMZ, KML, GPX). • Share your track together with all the photo taken along in one single file. • Optimized battery usage with battery monitoring. 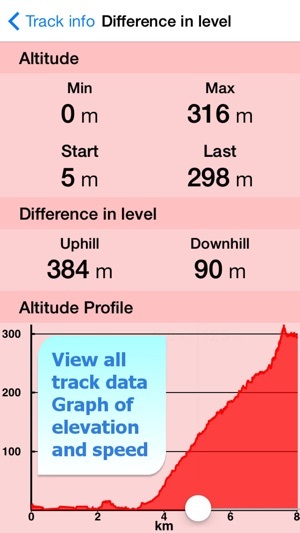 • Graph of the elevation profile and speed for each track. Why not sharing your favorite markers on Facebook or sending an email with your last daily track, with all the pictures you captured (Note 1) to show them on Google Earth™ or Maps ? With Terra Map it is just a click. Unlike many other apps, Terra Map is designed to use at the best the battery power to last for one full day (Note 2). The Battery Monitoring will stop the track recording when the battery is too low, in order to ensure the phone is still usable at the end of your outdoor's day. You can record GPS track while Terra Map is in background and while the device is locked. - Unlimited: you can download and update your charts forever. - Subscription: it is an year auto-renewable subscription, it will automatically renews unless auto-renew is turned off at least 24-hours before the end of the current period. Account will be charged for renewal within 24-hours prior to the end of the current period. Subscriptions may be managed by the user and auto-renewal may be turned off by going to the user's Account Settings after purchase. Note 1. Pictures captured by Terra Map while recording the track are automatically linked to the track itself, and sent with the track when you share it. Note 2. The effective battery duration depends by the battery condition, by the temperature and the device usage. This is a nice program as long as you download the maps you need before you are offline. I would give it 5 stars except for the intermittent problem that I am having with it marking my track. Yesterday I thrashed through brush for three hours uphill to mark a fence line, when I got to the top the track hadn't registered even tho the little icon was still flashing as active. Grrrrr! thanks for your words and we are sorry you had a problem using our app. What we could suggest about tracking is to pay attention to where you place the phone. You need to put it in a position that gives a "clear sky view" and not under some item that hidden the sky. Check also the quality of the GPS signal (box in the bottom side of the screen) because in some condition (big trees) the signal could be lost. Edit: The developer helped me with this, so I’m raising my rating. Hello, we have to keep a limited number of height samples to keep memory occupation acceptable and our library works with a tessellation of images of 256x256 pixels so when the system is zoomed the shading can appear unrealistic. We already switch off it automatically at the given some level, we can anticipate the switch off in future releases. thanks for your feedback. Could you kindly send an email (support@globalterramaps.com) with an image explaining what is exactly the problem you are seeing ? We will investigate to improve our app. Good introductory tutorials in both the app and website. Maps are large, but are well detailed; and the download speed is good. Also, maps management is well designed. Route planning can be improved to take existing trails/tracks into account. Distance calculation is a straight line one; would me more useful if it can follow a path or can have multiple segments.